In Book Three of this four-volume work, Alexander presents hundreds of his own buildings and those of his contemporaries who have used methods consistent with the theory of living process. Containing nearly seven hundred pages of projects which have been built and planned in a number of countries over a thirty-year period, this book amply illustrates the impact of living process on the world. The book provides the reader with an intuitive feel for the kind of world which is needed to generate living structure in the world and its communities; its style and geometry and its ecological and natural character. The projects include public buildings, neighbourhoods, housing built by people for themselves, public urban space, rooms, gardens, ornament, colours, details of construction and construction innovation. These buildings, and the methods needed to design and build them, define living structure in a practical way that can be re-applied across a range of other projects. 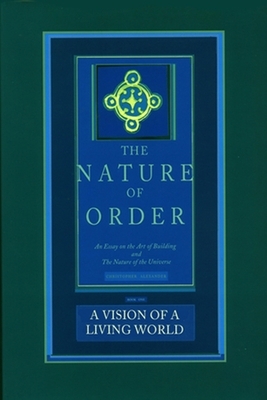 Christopher Alexander is a fellow of the American Academy of Arts and Sciences, architecture, builder and author of many books and technical papers. He is the winner of the first medal for research ever awarded by the American Institute of Architects, and after 40 years of teaching is professor Emeritus and the University of California, Berkeley.